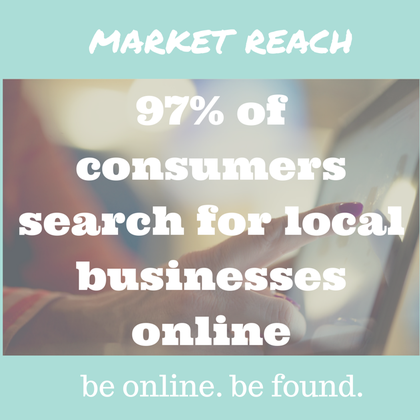 We make sure that you are found when customers are doing local searches via their laptop, tablet or phone. We do this by listing your business in local and national directories with high authority which will help your business be found. This increases your ranking & the "near me" searches done with GPS. Adding 100s of citations is a crucial step that needs to be done for the viability and credibility of your business. It is time consuming and detailed but you can always leave it up to the experts to get this done for you. Why are Local Citations SO Important? Why do they need to be consistent? In an age where social media is more relevant than local newspapers and local listings are more relevant than the physical Yellow Pages, it has become increasingly important to maintain a consistent business profile online. NAP stands for the “name,” “address,” and “phone number,” and makes up the basic elements of your company’s online profile. NAP accuracy can strengthen your company’s credibility and overall brand, while inconsistencies can deter and discourage potential customers. In short, when someone searches for your company on a local web engine such as Google or Yahoo, the ideal situation is that all contact information remains consistent and updated. Beyond the technicalities of potential customers not being able to reach your company, having the wrong information posted online can also detract from the amount of attention you are receiving in a search. Google tracks the citations of the business and omits certain information from searches when they detect inconsistent information. The technology Google uses to track your business information will match your listings with as many search results as possible. The less variation you have in this information, the higher the ranking your business could potentially have. This function was designed to provide the most optimized and relevant search results to users, but can also serve as a major marketing disadvantage to business owners who are not aware of their online profile. Keeping all of your business’s listing information relevant and synced at all times ensures that your business data is being distributed to the largest number of people possible. The more potential customers you have accessing your business profile, the better chance your business has of succeeding. These errors will create confusion within servers and even among potential clients. When maintaining consistency, it is important to include area code numbers when listing phone numbers, and spelling out the correct street suffix when providing addresses. Search engines can detect these minute details, which could negatively influence your business’s search ranking if incorrect. The first step to fixing NAP inconsistency is to take control of your listings on search engines. You can easily do this by typing your business name into a web engine such as Google, Bing, or Yahoo. Then, you can view and make any changes to the listings that are already available online. By following these steps, you are taking the first initiative to creating a stronger marketing strategy for your business. That stronger marketing strategy will result in more customers and better sales.